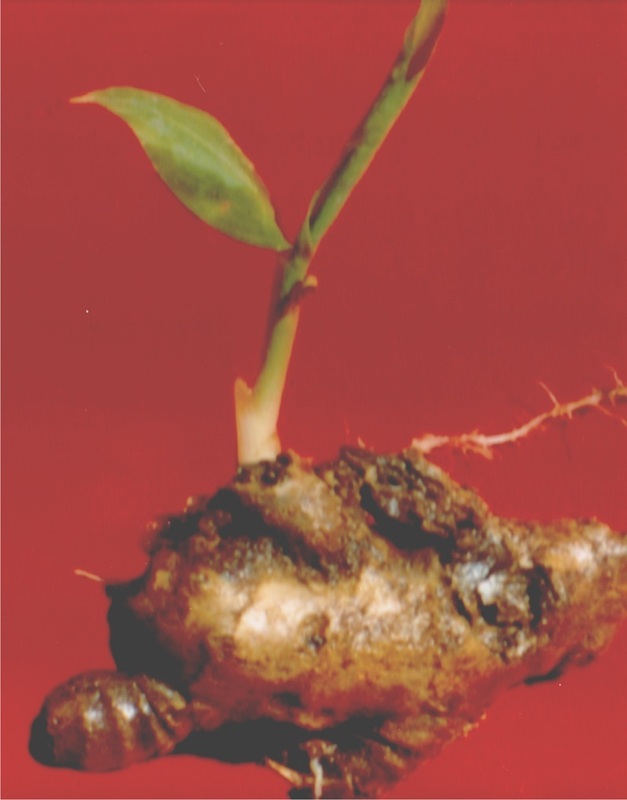 About Ginger Ginger can be grown both under rain fed and irrigated conditions. Problem Description Symptoms of the disease appear on leaves, which turn pale. Symptoms of the disease appear on leaves, which turn pale. Yellowing starts from tip and spreads down the blade. Finally, the leaves droop. Basal parts exhibit pale, translucent colouration which later become water soaked and soft, soft rot extends toward rhizomes. 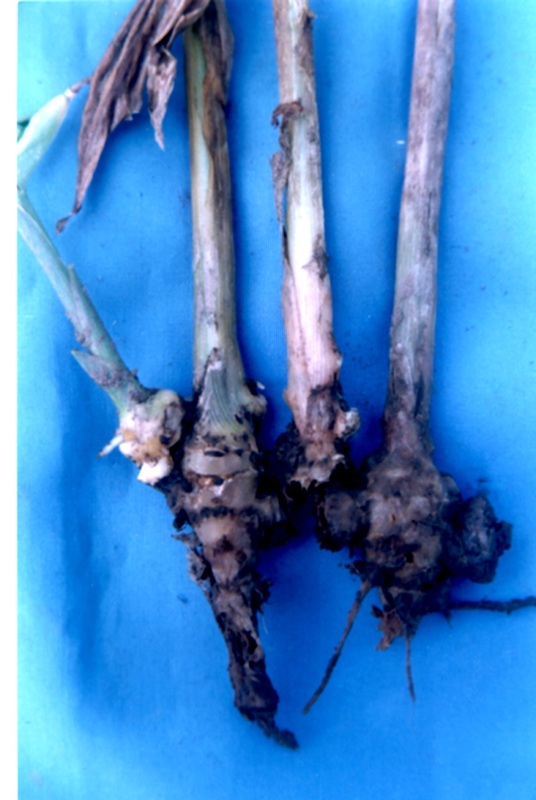 The infected rhizomes decompose and rot.